A months-long investigation led to police executing a search warrant at a home in Coolbaugh Township in PA, according to a news article at WFMZ.com. Upon searching the home, police found loaded guns, cocaine, heroin, and marijuana throughout the home. The Pocono Mountain Regional Police Dept. announced on Monday that five adults were arrested following the search, and an arrest warrant issued for a sixth. A 4-year-old child was taken from the home by Monroe County Children and Youth Agency, while a 16-year-old boy was put in juvenile detention. The ages of the adults arrested so far range from 22 to 54. The man police are still searching for is 28-year-old Andrew Turner, who wasn’t at the residence at the time of the search. Police say loaded guns were hidden all over the home, including beneath a sink, in lawnmowers, and in chairs. The drugs located in the home were valued at about $64,000 and included 150 bags of heroin, 250 grams of powder and crack cocaine, and numerous pounds of marijuana. Counterfeit money, digital scales, sandwich bags, vacuum sealers, and other drug paraphernalia were also found in the home. Some family members including the mother of some involved face charges including conspiracy, possession with intent to deliver, drug possession, forgery, receiving stolen property, possession of drug paraphernalia, and endangering the welfare of a child. All of the adults involved were incarcerated at the Monroe County Jail. Drug dealing or trafficking of drugs is extremely serious, and will result in severe penalties in most states. In Michigan, drug trafficking charges will result in 20 years to life in prison for distributing or delivering narcotic drugs other than marijuana for those found guilty. The number of years a person may be sentenced to depends on factors such as the type and amount of drug involved, criminal history, whether children were present, and more. Most law enforcement officials are of the opinion that when large amounts of drugs are present, those in possession of those substances intend to sell or deliver them. Prosecutors are of this opinion as well, and will charge a person with the most serious offense possible, resulting in consequences that will change a person’s life forever. 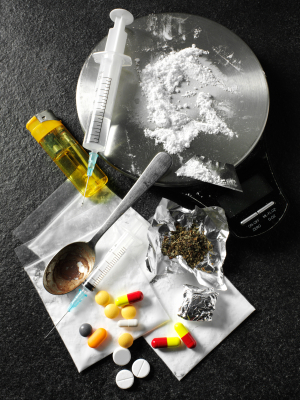 If you or someone you know has been charged with possession, possession with intent, or even manufacturing or drug sales or dealing, it is imperative to work with a highly qualified and capable drug crimes attorney. There are legal options, and your rights must be protected. Without a skilled lawyer in your corner, the outlook is extremely bleak. For the best possible result, you must obtain exceptional legal guidance and support.